This light weight, compact, silent yet powerful citrus juicer is the ideal machine for those who prefer to have freshly extracted juices without much of an effort or hassle. 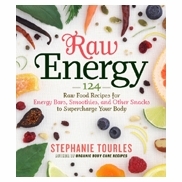 This is an ideal partner in one�s path to better health. Simple, easy and convenient to use, the Tribest Citristar juicer provides fresh and hygienic citrus juices for you and your entire family. The Citristar�s high mounted stainless-steel spout ensures continuous flow of the juice and thus prevents clogging. The powerful motor makes the task of extracting juices from your favorite citric fruits a simple work, ensuring you never miss out on your daily juice and maintain a good health for you and your family. 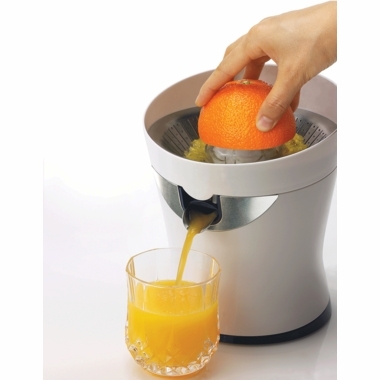 Description: This citrus juicer machine is convenient and easy to operate. Cleaning up is only a matter of seconds. The powerful motor makes most of the work easy and simple and makes sure you don�t have to do any significant effort to extract the juice. The compact structure of the Tribest Citristar Juicer easily fits in any space and so does not require a special storage space. Top mounted spout ensures continuous flow of juice. The locking mechanism ensures dripping does not happen. A fine screen installed helps you get clean filtered juice and can be easily removed for cleaning and reused. Build with high quality materials this juicer is strong and durable, and has a long life. One touch operation and auto start/stop feature provides simplicity of use as well as safety. The Tribest Citristar juicer can be used to extract juices from all citric fruits ranging from a small lime to a large grapefruit. This citrus juicer machine is the perfect solution to all your citric juice requirements and is your perfect partner on your path of a healthy life. Tried several juicers before, and this one is the best! Easy to use, easy to clean. Great customer support as well! We use the juicer mostly for juicing lemons. But we also use it for juicing grapefruit. It often will clog at the small drain hole. 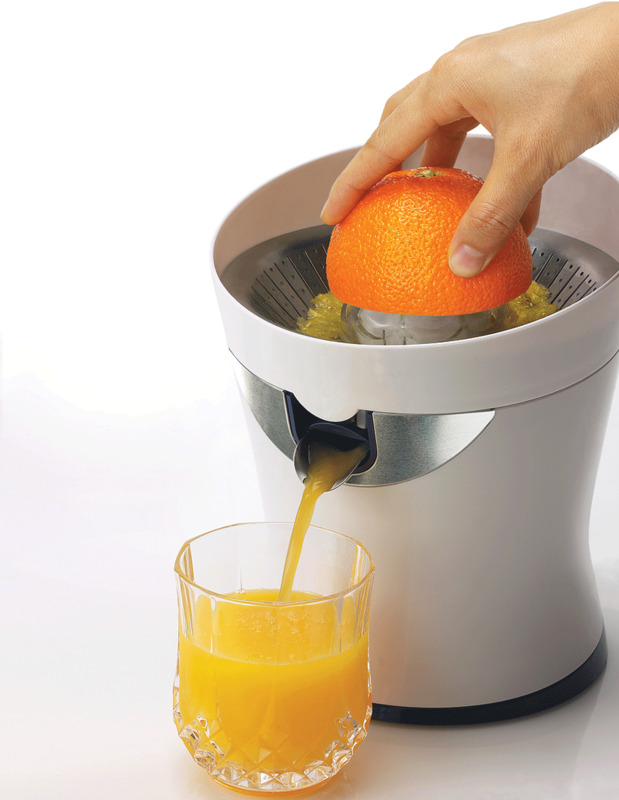 I like the Oster citrus juicer, but my wife likes the CitriStar (we have both). So, we use the CitriStar. I love this juicer. I use it every day. Easy to use, clean, and assemble. All at a great price. Can't ask for more.